the down trodden slave in the fragrance of Himself. To me, He is the Creator . . .
he scripture known as the Dasam Granth Sahib or the ‘Scripture of the Tenth King,’ has traditionally been attributed to Guru Gobind Singh. 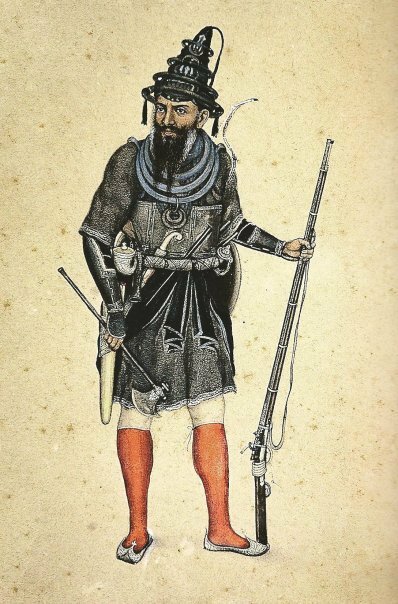 It was composed in a volatile period to inspire the Sikh warriors in the battle against the Moghuls, and many of the compositions were written for the rituals related to the preparation for war (Shastra puja) and for the battlefield. The verses generally consist of battle scenes and equate weapons with God, where the sword symbolises the victory of good over evil. War, according to the Tenth Guru, should only be a righteous war or dharam yudh, and it is true that the Sikhs throughout their history have been noted for their exemplary ethics in warfare. Guru Gobind Singh writes in his epic letter known as the Zafarnama that it is only justified to ‘raise the sword once all means have been exhausted.’ The compositions were written in mostly Braj Bhasha, and some smaller compositions are composed in Persian and Punjabi. In contrast to the primary Sikh scripture, the Adi Guru Granth Sahib, which is written in Shanti ras or verses that inspire peace, the Dasam Granth has a heroic strain of expression or Vir ras. 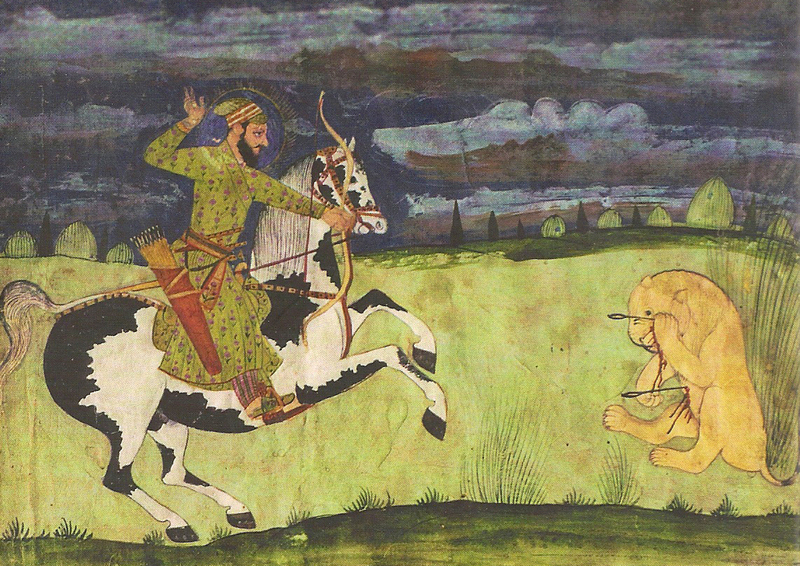 A portrait of the Tenth Guru hunting from the ‘Anandpuri’ recension of Dasam Granth from 1696 AD by Joginder Singh Ahluwalia. Used with permission. 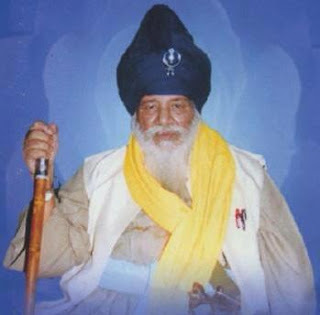 In recent times, the Dasam Granth has been of much interest and volatile debate. This debate has its roots during colonialism in the Sikh reformist movement, known as the Singh Sabha. The most controversial and volatile discussion is that of the authorship, which is the most polemic and opinionated argu­ment that one could ever experience. Rather than being concerned with this issue of authorship, it is better that discussions are based on primary sources, like manuscripts and relics. There is an intrinsic relationship of the scripture to the maryada (traditions), which includes the shastras (weapons), the Takhts (thrones of polity), and the warriors known as the Akali Nihangs. It is important to consider the historical context that the scripture was written in, and its link with battlefield sciences of the period. 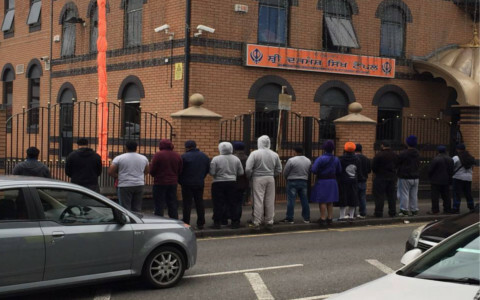 Whilst the primary scripture is now predominantly seen in Gurdwaras or Sikh temples across the world, during colonialism the Dasam Granth was removed from its ceremonial role, and it actual contents have been overshadowed by the rhetoric of reformist movements. Translation of the Nasīhatanāmā by Guru Nanak, or 'Letter of Advice' to a cruel King killing his subjects for money. Guru Ji quotes to him a story from the Holy Bible and Holy Qur'an of Karun or Korah, usually known as King Croesus. Who was famed for his fabulous wealth in forty storehouses. Tilang composed by Guru Nanak Dev Ji. One Universal Creator realised by the grace of the True Guru. One gets a high status if it is given by Khudāi. Whatever you see on the earth will all vanish. Always this wealth will not last, even though it may be countless. Millions will not remain, nor will thousands remain. Wealth is one's who spends and uses it. If one shares and distributes it, then it will please God. 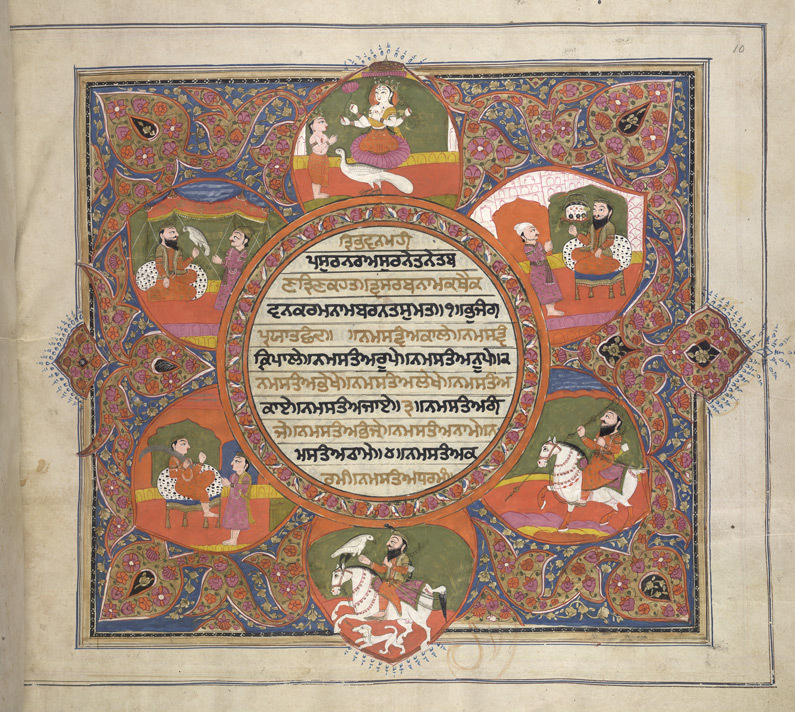 The Paiṅtīs Akharī is an acrostic bani about the Gurmukhi alphabet said to be by Guru Nanak Dev Ji. It is apocryphal as it is not in the Adi Sri Guru Granth Sahib Ji. The Guru describes the experience or attributes of Ik Oaṅkār with each letter, or the non-divisible advait Vahiguru, which is the ecstatic experience of non-duality. The state of enlightenment or Nirvana is described, where the term turia is employed by Guru, he states that in actual fact there is no difference between the soul and the Super-soul, like water that merges back into water. The cover shows the Thirty-Five letters of the Gurmukhi Alphabet written by Guru Arjan Dev Ji, and the Muhārnī, which is a special way to learn all the sounds in Gurbani. By the Guru writing the letters at the top and alongside his Gurbani we can safely conclude that Gurmukhi script itself is considered holy and is a spiritual language. G. B. Singh (1950) concluded that it was more ancient than even Sanskrit (which has Fifty-Two letters), and provided detailed impressions of ancient rock carvings of glyphs to prove it (See the table below). According to Prof Anurag Singh and the late Giani Sant Singh Maskeen some of them are also found in Turkmenistan. G. B. Singh has proved that development of all languages began with Runes and Hieroglyphics, which is a fascinating angle on the history of Gurmukhi. In the tradition it is said each sound resonates from a certain chakra, and is said to purify them (see the diagram by Sant Sher Singh on the next page). Each letter and word must be perfected via special methods in order to perfect the banis, this is known as santhiā. According to the poet Kankan, who was in the Court of the Tenth Master, it was Guru Nanak Dev Ji who first wrote ‘his bani in a language easier than the Vedas’. Previous to the Singh Sabha, Punjabi was written in Persian characters otherwise called Shahmukhi. In the tradition, to use Gurmukhi for everyday purposes was considered a tankha (not within maryada), and to throw away Gurmukhi characters was considered a gross violation of rahit, due to the prāṇa or life force they carry. Therefore, any Gurbani no matter what language it is written in should never be placed on the floor or touched with unwashed hands, and the head should always be covered. In the tradition we see Gurbani as a mirror of the Universe, so the more we elevate Gurbani the more we are actually elevated in our lives. 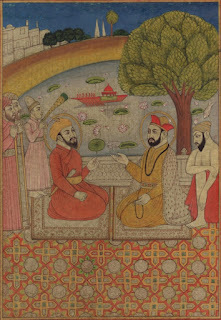 Sri Singh Sahib, Harbhajan Singh Yogi, in his Nitnem Namaa states that the ‘The Paintees Akharee gives the understanding of Yoga.’ He also stated that it gives secret knowledge. "The fortunate ones admire Guru Gobind Singh; he knows everything in our hearts."